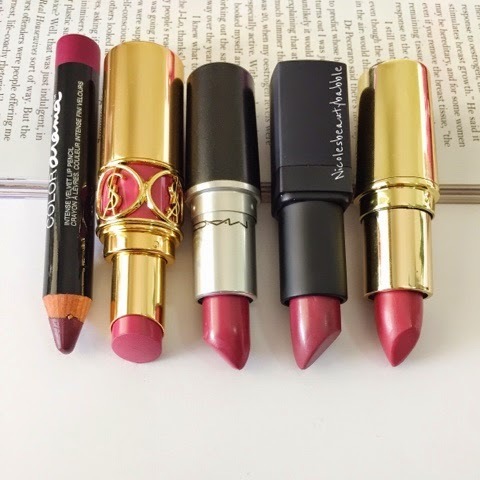 L - R: Maybelline "Berry Much", YSL "#9", MAC "Plumful", Nars "Damage", Gerard Cosmetics "Berry Smoothie"
I personally love the plum sort of colours specially when the weather starts to get cooler. 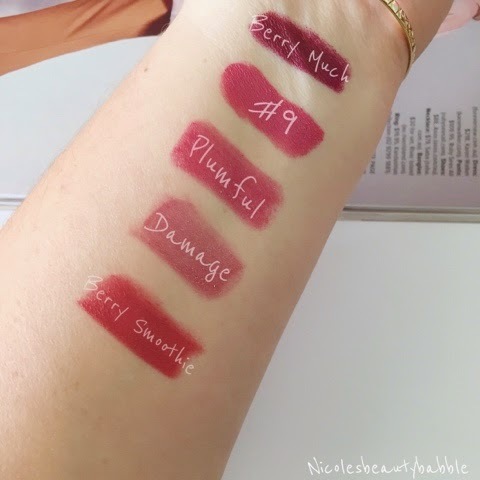 All the lipsticks I have chosen are really creamy and easy to wear with the Nars lipstick being a bit on the sheer side as you can see from the swatches. 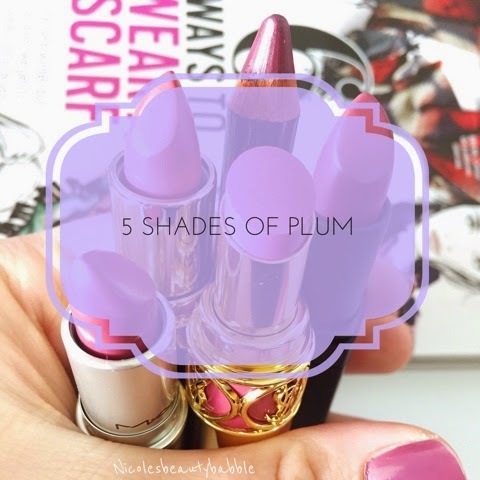 What is your go to Autumn/Winter shade? Love mac plumful and berry smoothie, so flattering even on my super pale skin!